It was so great to reunite with PhD students from other CLAHRCs who I met last year at the NIHR event in Windsor. We had the opportunity to share and discuss each of our research projects; it’s so great to see what progress has been made in the last year. Additionally, there were more PhD Students who have joined the Alzheimer’s Society and NIHR programs in the last year. Together we really are building a foundation of dementia research, which is certain to lead to change! Of particular interest to me was meeting a new researcher and dietitian (Louise Wilkinson) who is researching nutrition and dementia. I have now connected with dietitians, nurses and speech and language therapists researching this topic, as well as providing my own OT perspective. I’m so excited to be a part of building this multidisicplinary, rich research base to improve nutritional care for people with dementia. From the day centre we took a bus across town to see a fantastic new nursing home facility. People in Sweden seem to stay at home a lot longer than in the UK, but when they move into the nursing home the care appears amazing! It is so person-centred, with washing machines in their own apartments (no losing clothes to other residents!) and their own kitchen areas. The Finnish wing, with only Finnish staff, even had a sauna! I feel we in the UK can learn a lot from the Swedish culture’s respectful attitude towards older people and personhood. The afternoon of Day 2 brought the privilege of meeting and hearing from Louise Nygard, Professor in Occupational Therapy – an inspiration and a game-changer in the world of OT and dementia research. How exciting to be able to meet and learn from Professor Nygard, and hopefully a beginning to building links to other OTs across the globe! The main highlight was a session about writing and publications by Professor Tony Arthur. We discussed the challenges to getting writing, and really practical ways to get over the barriers. It’s comforting to know that even experienced researchers who have loads of published papers still know what it’s like to struggle with motivation and often rejection of their work! Additionally, there were helpful applications of ‘where to start’ when publishing a paper, and useful tips in overcoming procrastination and ‘writers block’. The perfect end to an inspiring few days! 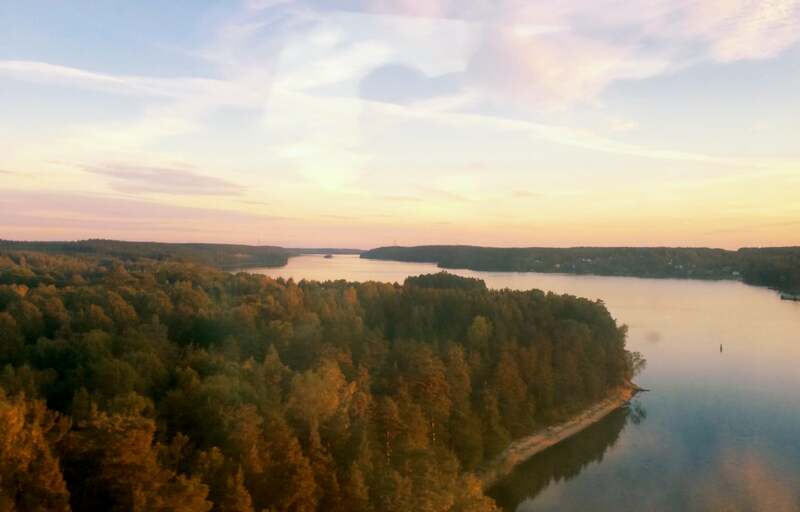 As you can tell there was a lot packed into our 3 days in Sweden – these are just my highlights! Thank you to the NIHR and Alzheimer’s Society for funding this time to network internationally and to be re-energised. There can be no doubt that there is a group of dementia PhD researchers ready and raring to get on with shaping dementia care around the world! I also am doing my PhD in Dementia Studies in Scotland at the University of Stirling so I was thrilled to “bump” into your website. It is lovely and easy to read. I just started a blog of my own and reading yours gives me confidence. I wonder if you could perhaps share how you found out about the summer school? It sounds amazing! Especially with the possibility of being funded. Appreciate any info or tips. Thanks and wonderful wishes for your journey! I’m glad you have found the site easy to read and encouraging! What is the link to your blog? I will have a look and retweet etc! The summer school was set up by the researchers at uni who head up the Alz Soc dementia training programme and the NIHR CLAHRC funded PhD places. Perhaps your funders or heads of dementia research school at Stirling could set up something similar? It was really good!